Amiga has such a better sound output than PC windows. 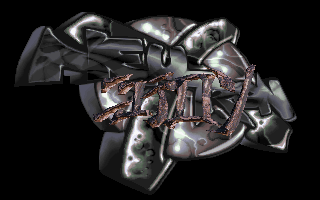 i really like this PC DOS demo. rulez added on the 2004-10-20 12:00:54 by AbcuG! i made an fully digital avi conversion of this, anyone who would like to host a hundred megs of this, just mail me. try scene.org and let us know, i'd like the video. hhc2: what happend to the video? I remember this one. It's so many years since a friend showed this one to me. Fast paced music synced with effects and text in a frantic way, which somehow reminds me now the classic techno/rave style of later speccy demos. Hmm..
Great prod :) me loves the music. page created in 0.014984 seconds with 15 queries.